Looking for a co-working space that inspires? We’ve put together a handy list of the best in Hong Kong. There are countless reasons why working out of a co-working space is an incredible experience (so many, in fact, that we just had to write a post about it!) 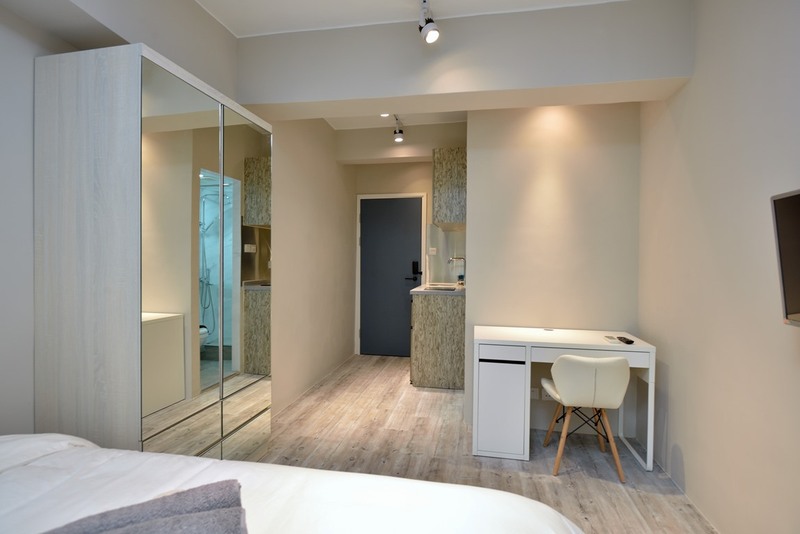 so if you’re looking for a place to set up home, regardless of whether you’re new in business or a seasoned professional, then check out some of these well-equipped spaces around town. From meeting like-minded professionals and bright entrepreneurs to fully-stocked fridges and fresh outdoor spaces, nothing beats the sense of community you’ll build in a co-working environment. Constantly on the go here in Honkers, it’s important that we’re able to strike a balance between our professional and our social lives. 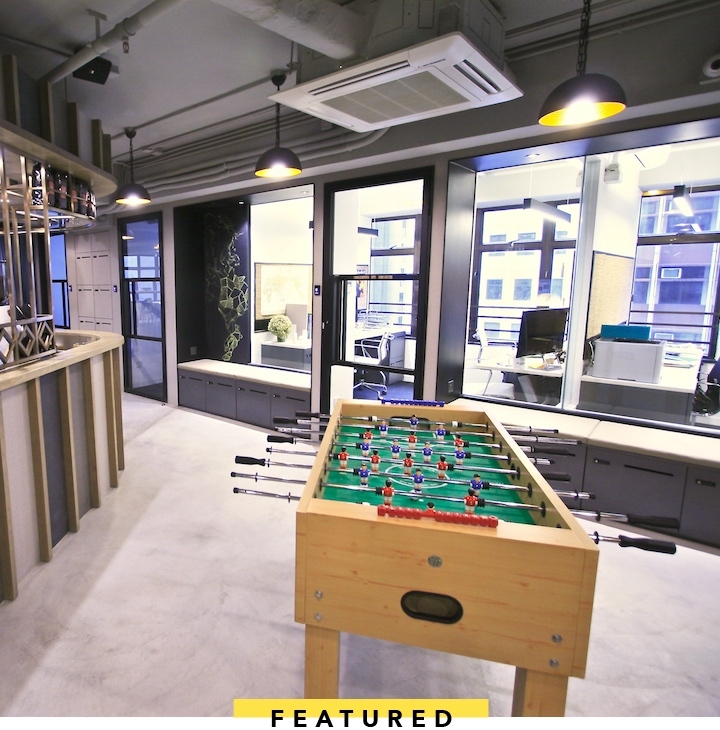 Knowing that the average Hong Konger is working well beyond the normal 9-5pm grind, Playground.work has developed a fun and playful community for small businesses and professional individuals – complete with an in-house bouldering wall and all (we aren’t kidding). Located right in the heart of Sheung Wan and San Po Kong, this innovative space embraces a “work hard, play harder” mentality, where each member is encouraged to get a sweat on, spend time playing board games, savour fresh, barista-brewed, handcrafted coffee and be inspired to take part in networking events, workshops and a variety of courses. 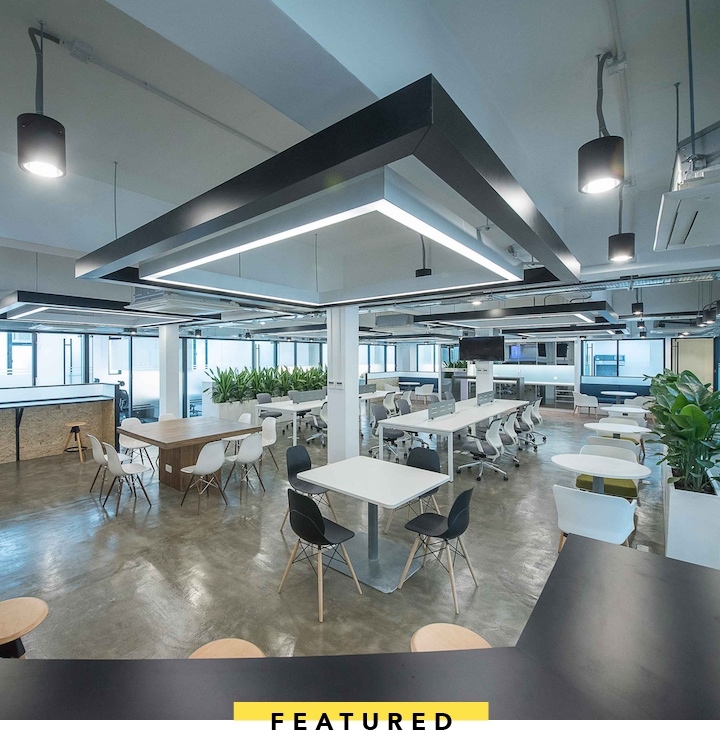 A home away from home for budding entrepreneurs and businesses all over the globe, Compass Offices has combined private, serviced offices with trendy co-working areas in order to meet all of your needs and create an environment that encompasses (pun intended!) a productive, secure, comfortable and social atmosphere. Think stylish workspaces that have been laid out in an array of formats designed to help you focus on growing your business and at the task at hand. Compass Offices inspires creativity and encourages collaborations (you never know who you just might meet! ), but also offers unique business support services to help its clients focus and meet their goals. 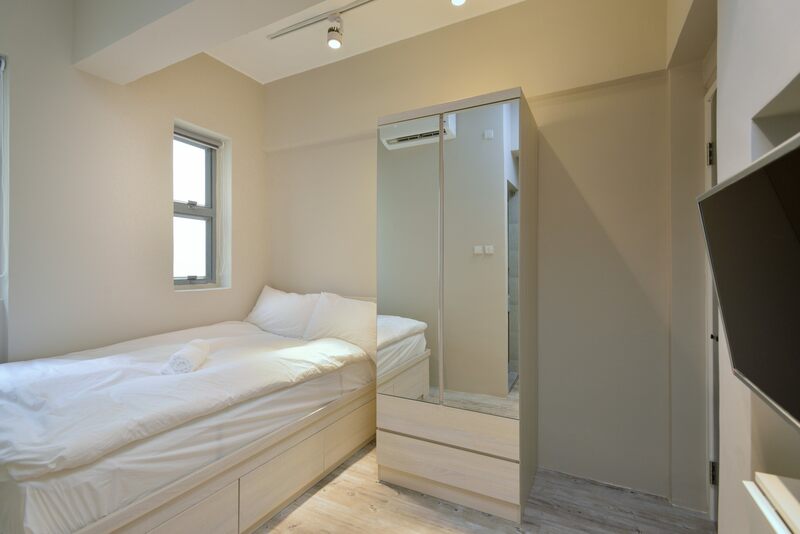 It knows how hectic Hong Kong can get, so it takes care of all the small stuff, so you don’t have to! Sassy Perk: Bag yourself a free, one-hour meeting room voucher by emailing marketing@compassoffices.com and simply reference Sassy! 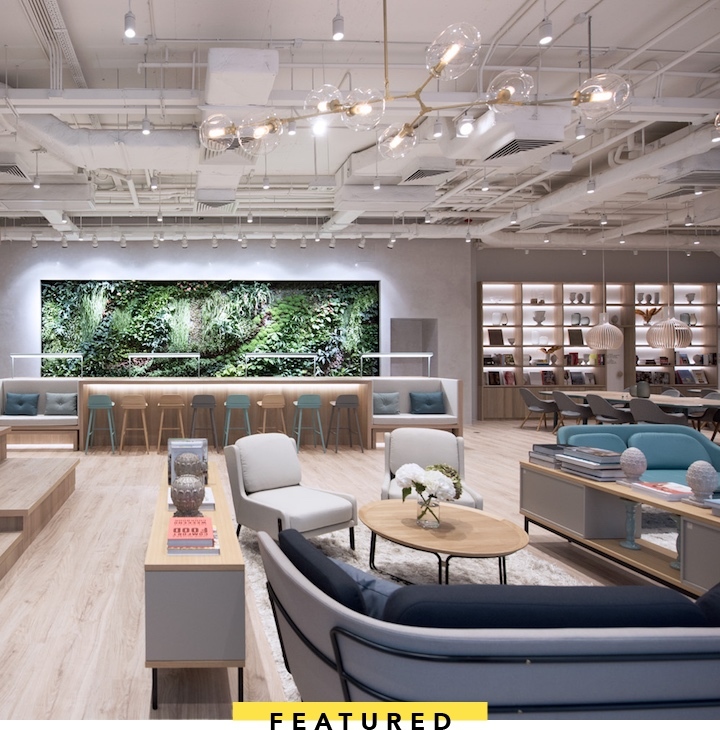 Nestled amongst the city’s most exciting multinational corporations and startups, inspiration is abundant at Swire Properties’ premium co-working and event space in Taikoo Place, Blueprint! With its “whatever it takes” attitude, Blueprint boasts everything that you need to run an effective business. Not just for powering through the day to day, the luxe, designer space also indulges those looking to host alfresco cocktails on its gorgeous terrace, product launches in its chic event venues, or team lunches in its funky café. theDesk offers you the best of both worlds — a workspace expertly designed to boost productivity, which also makes you feel a part of an inclusive community. 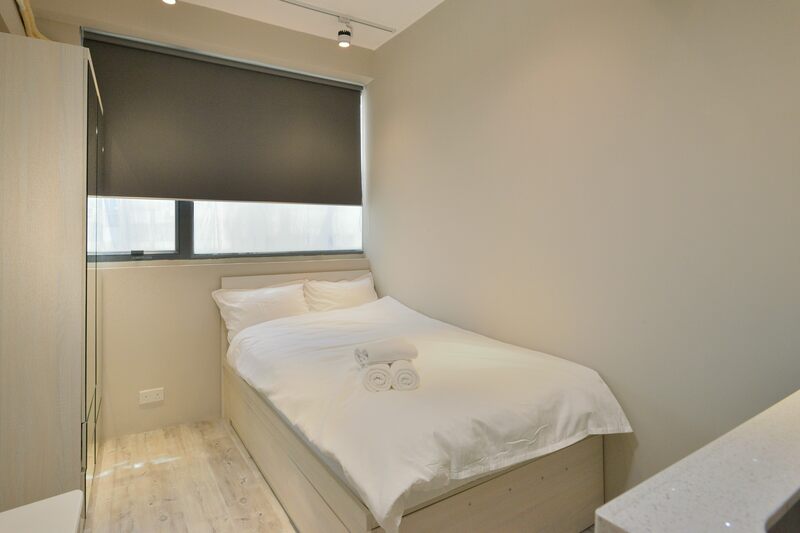 With locations in the vibrant Sai Wan and bustling Causeway Bay districts, theDesk has accessibility to a wide range of lifestyle and corporate businesses in Hong Kong! Like a blank canvas, theDesk invites professionals, entrepreneurs, SMEs to MNCs to get creative and produce their best work. Its minimalistic design offers a bright, tranquil and uncluttered workspace which is perfect for those who want a well-focused and productive work environment. The versatile event space has housed both intimate gatherings and corporate functions for 250 people. Bringing people together is theDesk’s priority. Bridging the gap between professional relationships and hosting events, the team not only helps members connect with each other but also with neighbouring businesses. The industry-agnostic is the perfect hub for brainstorming and exchanging diverse ideas and services. Reach out to theDesk team to arrange a visit at info@thedesk.com.hk, and for more info, click here. Offering much more than desks and chairs, Ooosh is a space that nurtures startups and brings businesses together. This co-working community prides itself on diversity. 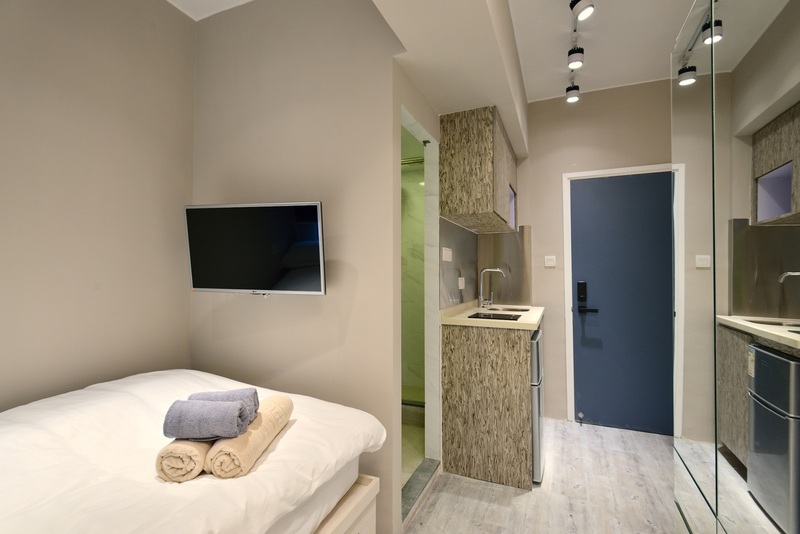 Home to members from a variety of different industries, Ooosh provides an array of services to suit all of your needs. Work amongst companies who successfully adopted tech-driven solutions as well as startups who have gained traction (and even funding) through interacting within the community. Just starting out? Ooosh runs an incubation programme, HackLab, in conjunction with CatalystBuilder , a staple in the startup scene for those looking to make valuable connections and make real progress. If flexibility is key to you or your business, then listen up! Metropolitan Workshop has set up camp in an array of convenient locations across the city, all equipped with workspaces perfect for freelancers, entrepreneurs and smaller companies and corporates. Each workspace is themed so that you can pick and choose which environment is best suited for your needs. 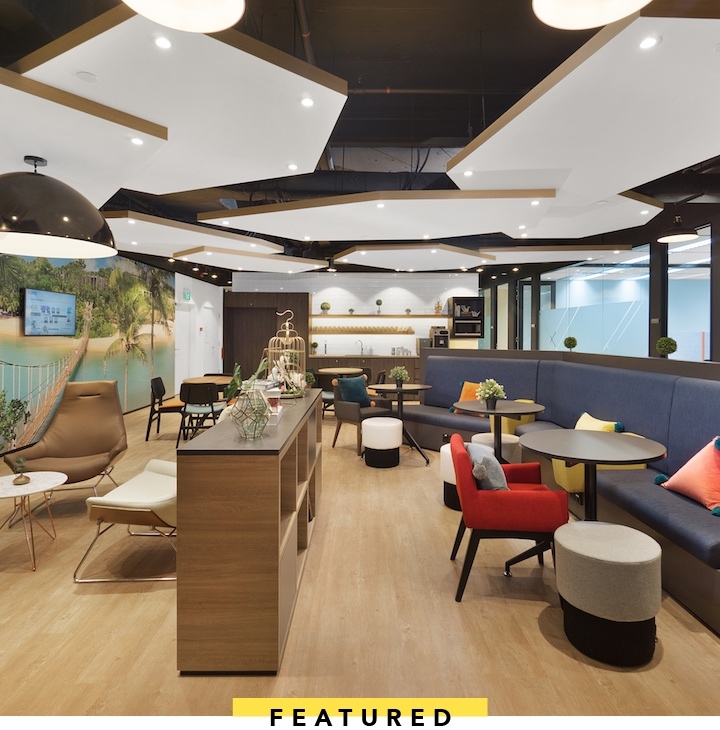 Its Central space is designed like a cozy French Cafe with its rooms adorned with Parisian paintings, whereas its Admiralty branch is a green oasis equipped with a swing and lined with greenery – a huge mix of inspiring spaces to ignite new ideas. 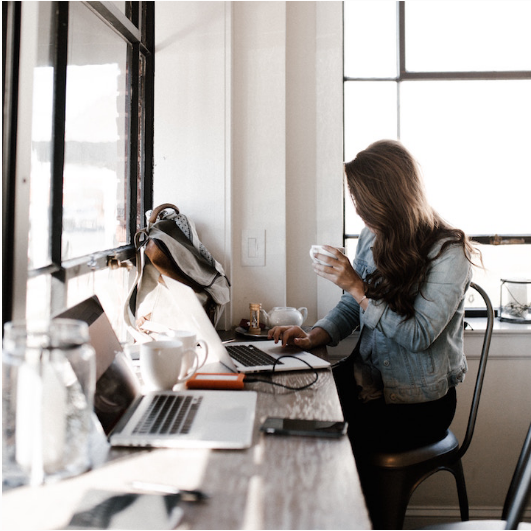 Choose a plan which complements your schedule best, and opt for private workspaces, dedicated desks, hot desks or work remotely in a virtual office, with all the support you need available to you, when you need it. Metropolitan Workshop really has thought of it all. Sassy Perk: Metropolitan Workshop is currently running a promotion where if you refer somebody to the co-working space, you’ll earn 10% of your referral’s rent for up to 12 months! * However, as a Sassy reader, you’ll also get 10% off of your membership – simply mention that you are a Sassy reader to Metropolitan’s community officer. 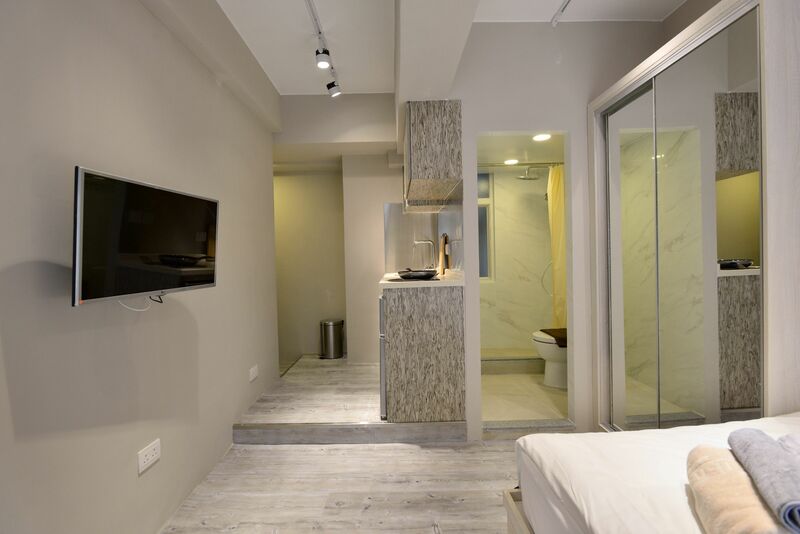 To enjoy the referral programme just email info@metroworkshop.com.hk with your own and referral’s name, contact no, email and other key information! *Terms and conditions apply. Offering a variety of packages and pricing plans for you to choose from, The Work Project not only boasts a gourmet pantry (priorities!) 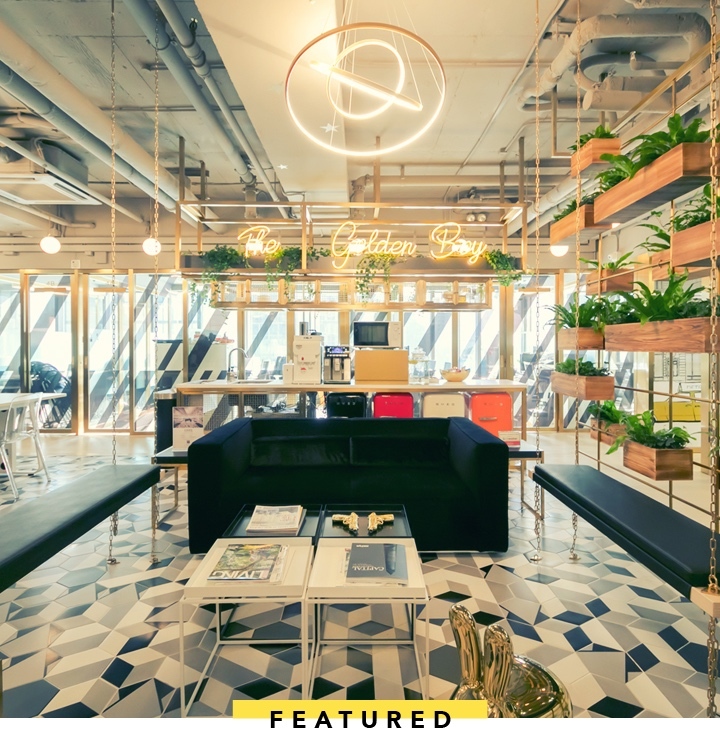 but has built a community through its many networking projects and co-working members’ events – perfect for if you’re trying to expand and grow your reach in both Hong Kong and beyond. 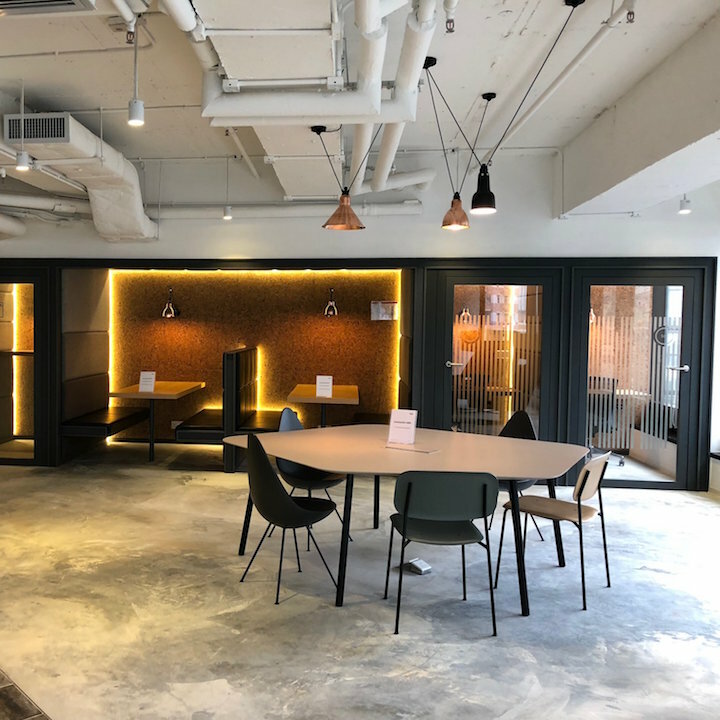 If you’re looking for co-working space options across the harbour, then why not consider Vspace Prime, a luxurious co-working space situated in Kowloon Bay. Its 6,000 square-foot space is comprised of an event space, meeting rooms, a common area, private phone booth and private offices, along with hot desks for members to work at. And that’s not all, along with offering its members a spacious working area and all of the essential tools and business services necessary to thrive in a global landscape, Vspace Prime also offers up a stunning 180 degree sea view. Day Passes, 10-Day Pass and Monthly Memberships are all available, or check out our exclusive perk below and try out Vspace Prime for yourself! Sassy perk: Sassy readers can get a free three-day trial at Vspace Prime, and 50% off on hot desks for the first month, simply by mentioning this article when contacting Vspace Prime! 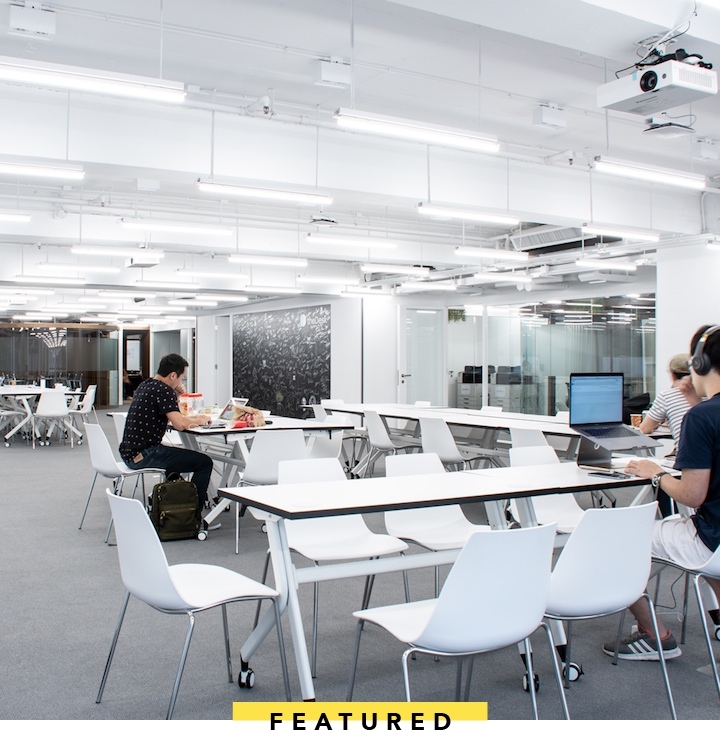 YoofHex is a brand new co-working space in the heart of Causeway Bay, easily accessible by public transport. The bright and airy space offers flexible and affordable options (including hot desks, dedicated desks, office space and even venue rental) so whether you’re an individual or a company, your needs will be catered for. And unlike renting a traditional office space, you won’t have the hassle of dealing with high up-front costs. YoofHex aims to build a community that values creative collaboration, so membership includes invitations to a diverse range of events and activities, helping you to meet and network with other like-minded professionals. The convenient location means you won’t be short of coffee or lunch options. And with 24-hour access, it’s great for the night owls amongst you (or when you’re crashing to meet a deadline)! As a special opening offer, the first 10 individuals, startups or organisations who become members will pay for six months rent and get six months free! This applies to hot desks, dedicated desks and office rental for up to six desks per office. The offer is valid until 31, March 2019. As the home of Sassy HQ, this is one co-working space that we can 100% vouch for! 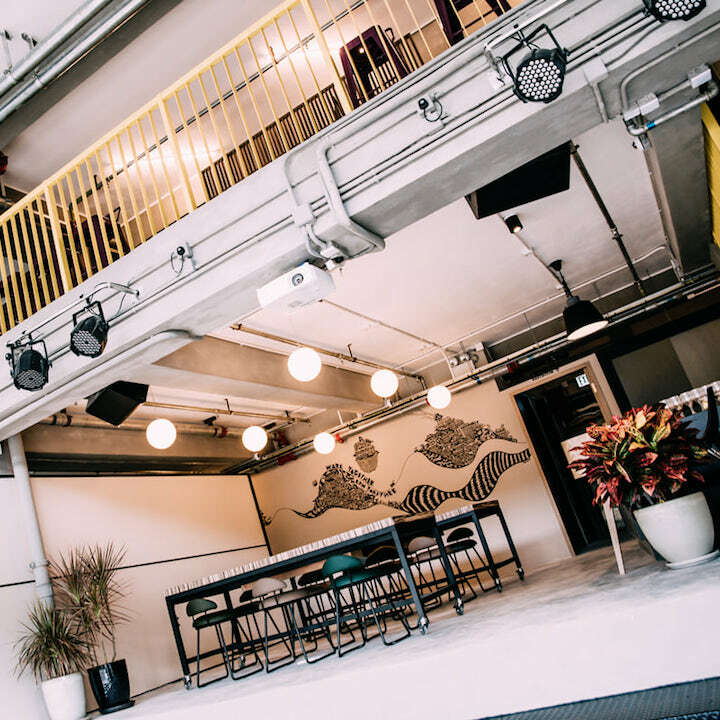 With locations in Sai Ying Pun, Sheung Wan and Central, Garage Society gives its members the opportunity to socialise, network and collaborate with other companies and brands – all in a beautifully decorated and fully serviced space. We find it to be the perfect creative space and working environment (the Peroni tap and gorgeous terrace helps as well!). Paperclip strives to set itself apart from other 852 co-working spaces, by uniquely combining a startup academy with a work space. The academy focuses on startup methodologies and business model canvas tools that are designed to aid entrepreneurs on their journey to success. The space is also equipped with offices, co-working spaces, meeting rooms, classrooms and a dedicated event space. Featuring private offices (for teams of up to and over 100! 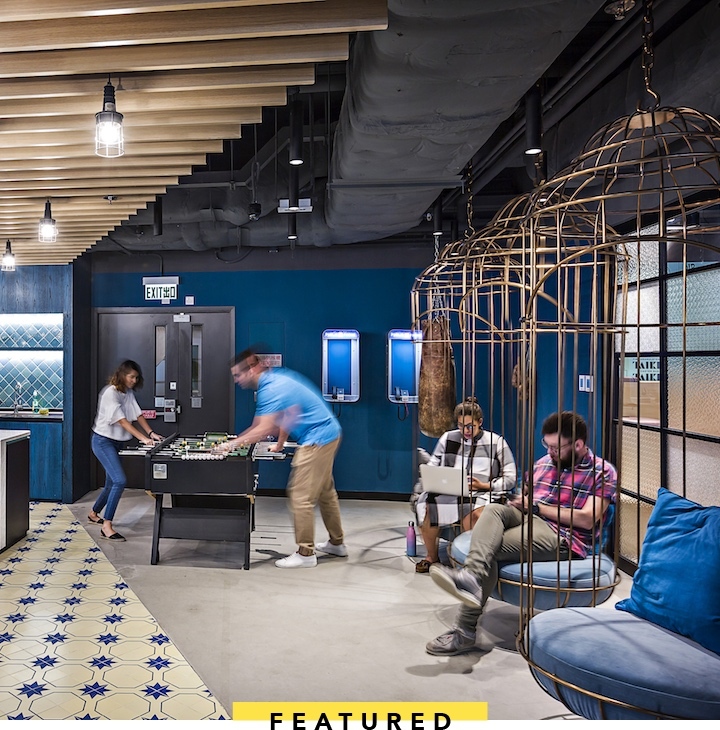 ), along with a distinct and aesthetic vibe set to inspire, WeWork’s communal space strives to create an environment where people work to make a life, not just a living. 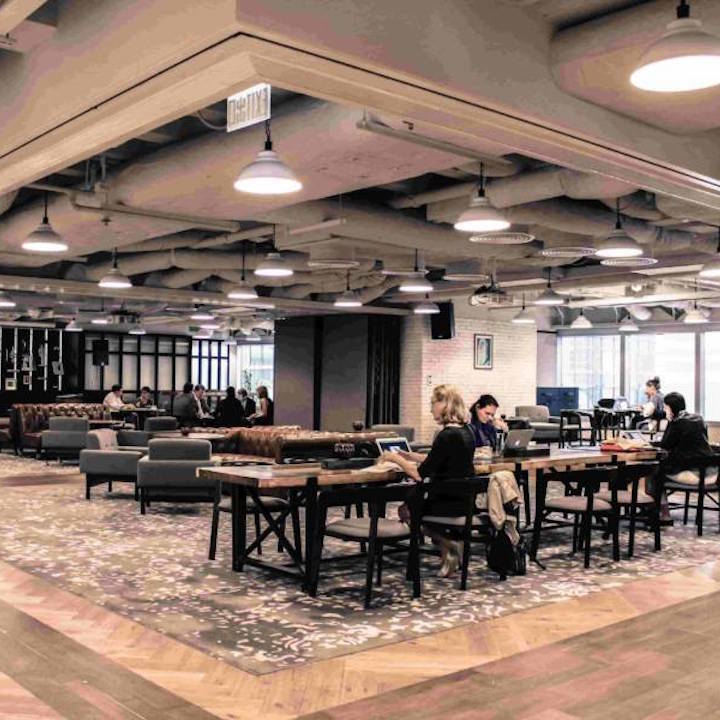 With plans varying from hot desks, to private office spaces and with two locations in Hong Kong, WeWork is a serious contender in the co-working arena. 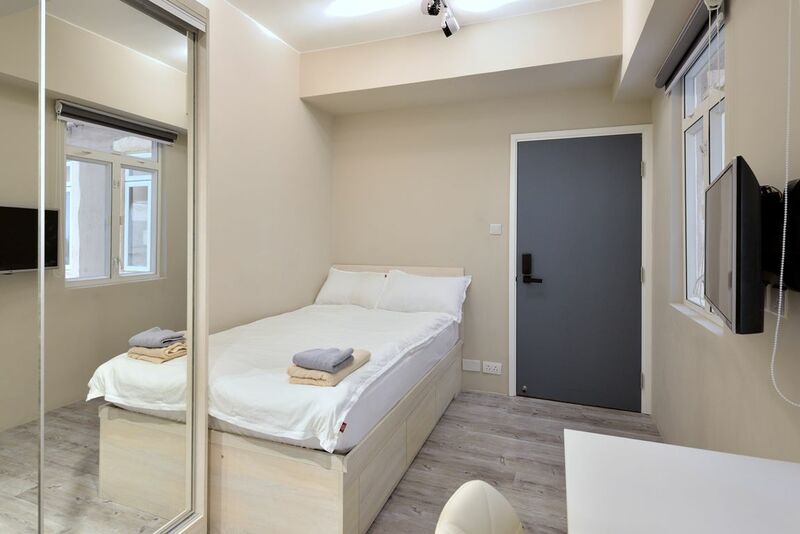 Conveniently located in Asia Standard Tower on Queen’s Road Central, Urban: Serviced Offices makes it easy for you to rush off to meetings and events around the city! It aims to create a collaborative, inspiring space that’s flexible, and gives you a variety of different environments to work in. What’s more, it uses eco-friendly materials and technology to ensure that your working environment is as efficient and comfortable as possible. With locations across Hong Kong (and Asia as a whole! ), The Hive is home to a creative community, with a lively vibe that’s perfect for freelancers, entrepreneurs and young companies. 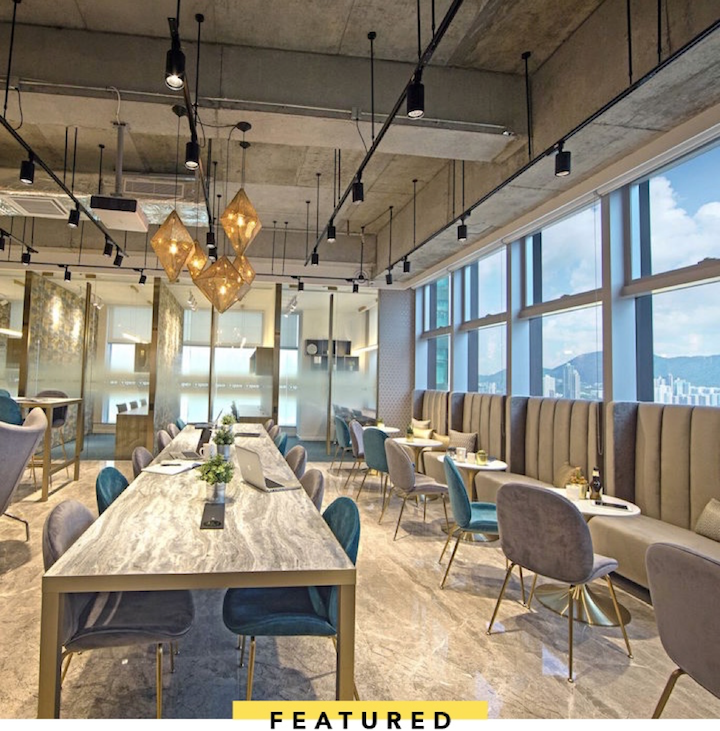 The Wan Chai location is spread across five floors and features a beautiful outdoor sun terrace – perfect for lunch, informal meetings and community events. 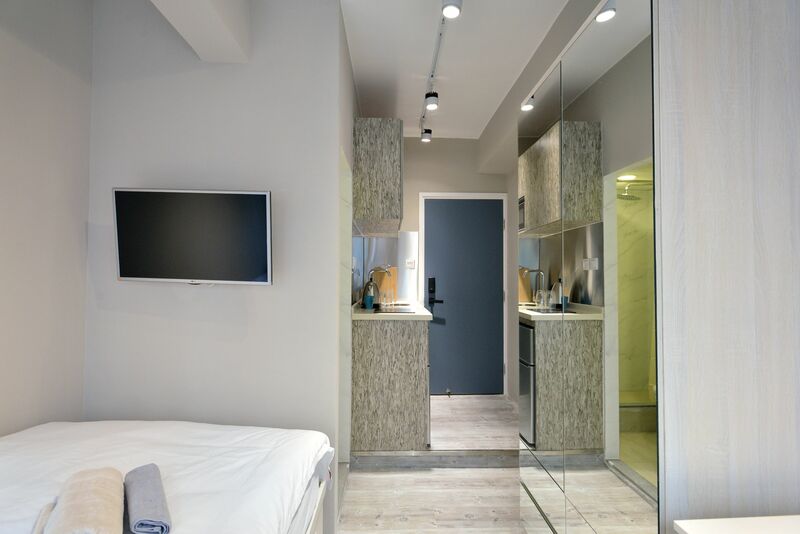 Located conveniently in the heart of vibrant LKF, Wynd houses international corporations and distinguished local businesses. Offering top amenities and maximum flexibility, it has a variety of workspace options, ranging from hot desks, dedicated desks, private offices, a virtual office option and day passes. If you’re after a co-working space on the East side of the island, CoCoon may be the one for you. 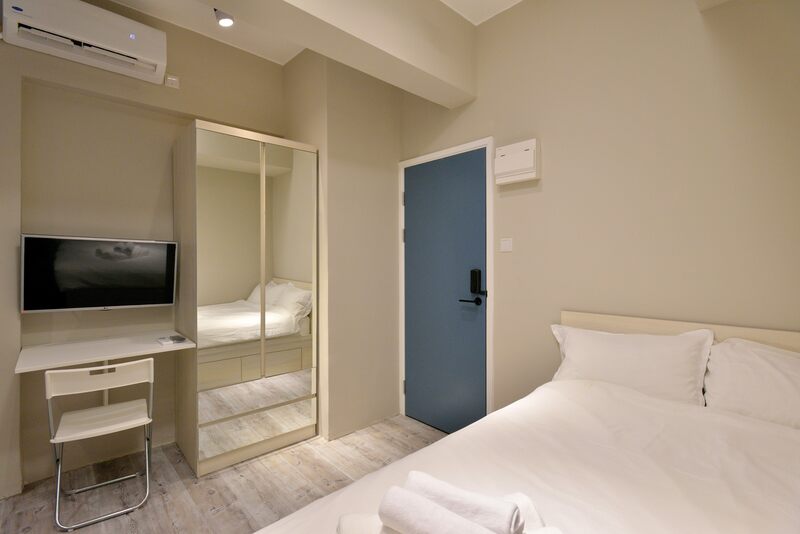 Located in the bustling Tin Hau area, you’ll never be far away from your next meeting. The space encourages like-minded individuals and companies to come together, collaborate and turn ideas into a reality! Its #CoCoonPitch Nights give members a great platform to showcase ideas to investors, corporate partners and potential users; or to just listen to what up and coming innovators are working on! 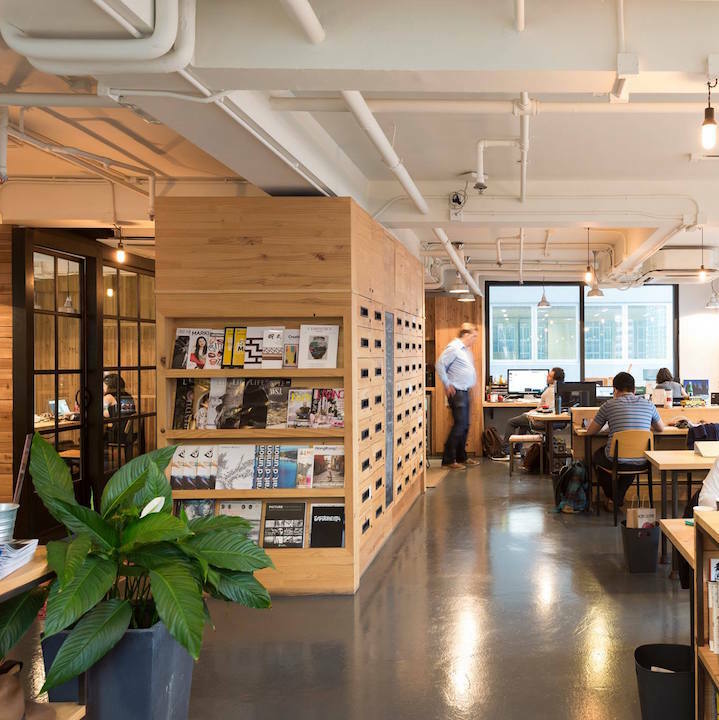 The first co-working and lifestyle space linked with a 5-star hotel in Hong Kong, Kanfu prides itself on establishing a work-life balance in a vibrant community of creators and entrepreneurs. If the gorgeous view from Red Sugar isn’t enough to tempt you to work here, as a member you will also have access to Kerry Hotel’s gym, jacuzzi and pool, as well as its 24-hour work stations and daily happy hour (including an awesome selection of craft beer). It also has video games & board games too. A workspace designed to suit all of your needs, Regus offers an ergonomically designed working environment that expands as you do! Choose from an open or reserved co-working space, alongside private offices and scale up or down accordingly. Plus, it has a fully stocked kitchen! Looking for a space that’s cool and comfortable to work in? Industrial chic workspace, The Loft is one for those of you in Kowloon. 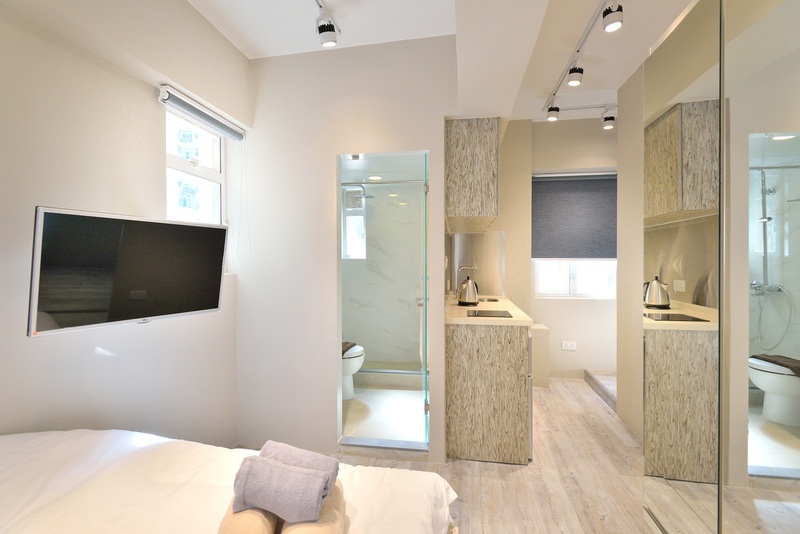 Close to Diamond Hill MTR, choose from a wide variety of memberships, both temporary and on a month-to-month basis. Need a break? Don’t forget to check out its indoor and outdoor terraces! The Coffee House hosts an active community of creative individuals, small businesses and of course, coffee professionals. Memberships are also entirely flexible with a plan to suite your schedule and company, alongside a great event space and co-working area. It also helps that the kitchen dishes out some of the best beans in the biz to fuel your day from start to finish! 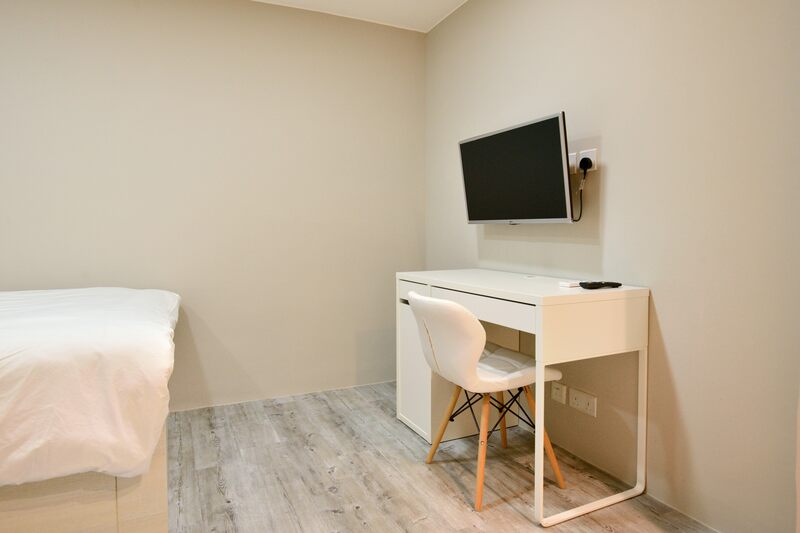 Nestled in amongst the hustle of bustle of Tsim Sha Tsui, Central Park provides the ideal working environment for busy professionals and creative alike. Join a community and build a strong network of talented freelancers in a relaxed and creative setting. The panoramic views of Kowloon Park make for one very tranquil lunch break! With its core values in the name itself, Uno stands for Unity, Networks, Offices. 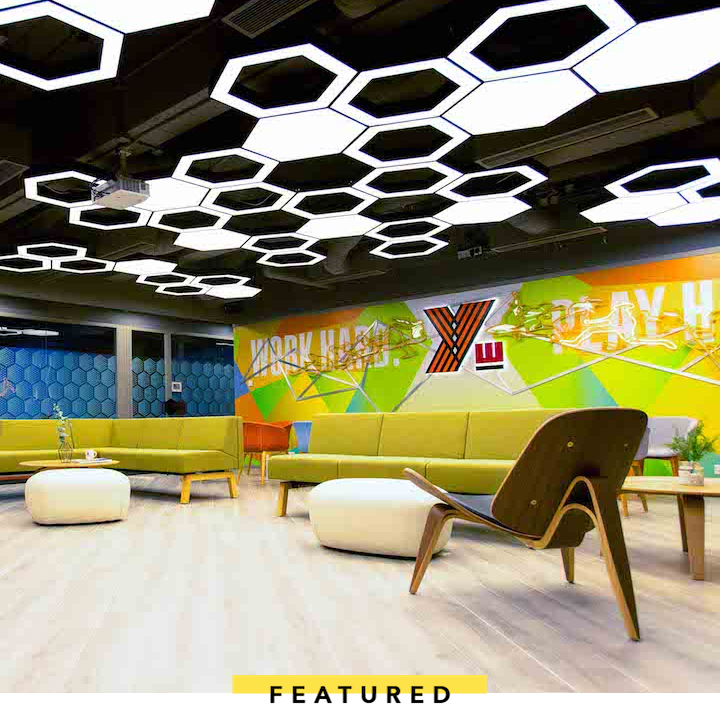 Describing itself as “more than an office and wider than a co-working place”, Uno provides not only a well-furnished office environment, but also multiple meeting and event locations, opportunities for business networking and collaboration. The perfect, flexible environment to help members start up and expand their business. Eaton Club is not just an office space, but a social work club – a hybrid between a private member’s lounge and a workplace. Located in the heart of Central, you can expect an exclusive and refined co-working space as well as top notch events, food and beverage options (the important stuff!) and service. Mettā was derived with one mission in mind: “to drive meaningful connections.” Although not technically a co-working space, this forward-thinking entrepreneurial club makes introductions, invites collaborations and builds a strong community, with all the support you need to grow and better your business. Campfire has fully embraced the needs of a modern day workforce, and knows that in this day and age, offices need to be more than just a space to work in. Campfire is giving you the fuel to “define your company’s culture and vision,” offering entrepreneurs and businesses of all sizes the chance to embrace a work-life balance. If you’re on the hunt for a premium space that can be customised and tailor-made to suit both your needs and the needs of your business, The Executive Centre is definitely worth checking out. “Build connections with like-minded professionals and open the door to new opportunities,” in a chic, sleek and modern space. There is also an on-site barista to brew your morning cuppa any way you like it!